OMG another Sizzling Suzai X Yuna Zarai haha see my big grin shows it all! the unctrollable excitement! haha to conclude, this is the 5th times i met her for real yet the 3rd times having a photo together and i won't stop counting, fanning, loving and adoring her. go Yuna you are always so inspiring and i pray for your more success in future amin,. 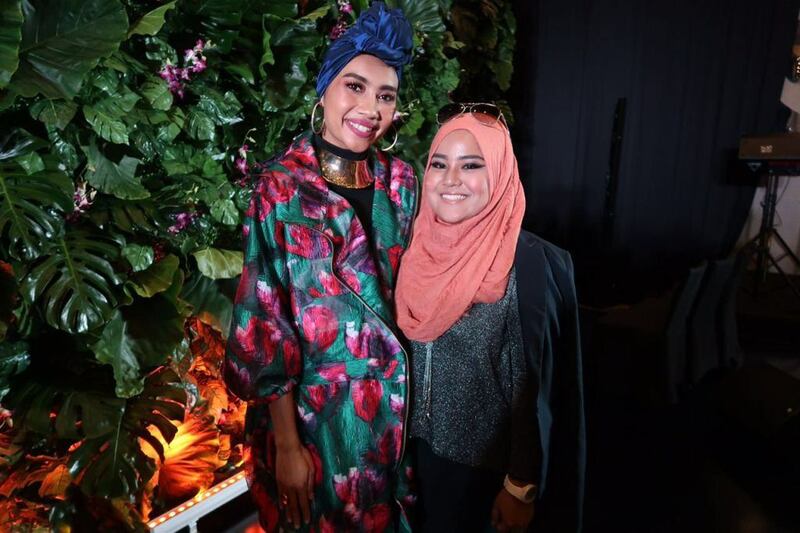 This pretty photo is taken at the launching of her collab with her bestfriend-designer, Hatta Dolmat called as #HattaXYuna Click here for the write up and to view the collection. Congratulation Yuna and Hatta, the pieces are outstanding as expected coming from two talented and creative people. HHAHAHAHAHAHA o got u babe! this one me is wearing a 4inch heels weih still far away but hey atleast ! haha yup shes so tallll!